Organised by Eneclann and Ancestor Network, the assembled experts included genealogists and broadcasters, librarians and archivists, writers and publishers, academics and a medical geneticist. The wide range of expertise on show every day was a showcase of Irish genealogy at its best. Alongside two new CD collections – The Topographical Collection and the War of Independence Collection. Furthermore, we have released four new titles of British interest, namely: Calendar of the State Papers Relating to Scotland, Vols. 1 & 2: 1509-1603; Thomas S. Hill (Ed. ), The Registers of Bramfield, Co. Suffolk, 1539-1596 and 1693-1889, 1894; The Ayrshire and Wigtonshire Archaeological Association, Archaeological and Historical Collections relating to the Counties of Ayr and Wigton, Vol. IV, 1884 and John Potter Briscoe, Nottinghamshire Facts and Fictions, 1876. We have a whopping 38 new titles converted to digital download for you this newsletter! 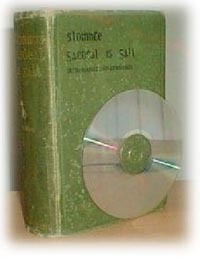 The list includes the provincial sections of Pigot’s directory for 1824, Slater’s directories for 1846, 1870 and 1894, as well as many others such as our Huguenot titles. Looking for a gift for a genealogist or historian, or just want to treat yourself? Either way, take a look at this year’s Christmas Gift Guide for some inspiration, whether it be a gift voucher or one of our newly released CD collection bundles. Eneclann’s Research Manager, Carmel Gilbride, presented at the second annual Oral History Network of Ireland conference, held in Ennis on the weekend of 28-29 September. The theme of the conference was ‘Voicing the Past’ and Carmel spoke about the importance of oral history in tracing a family’s history. Read Carmel’s summary of her talk, specifically written for our newsletter readers. In relation to the query on Methodist Ministers in Ireland, Robin P. Roddie, Archivist of the Methodist Historical Society of Ireland, wrote to us. 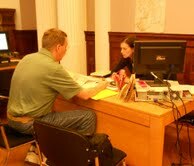 This Winter 2012/13, the National Archives of Ireland continue their free genealogy advisory service. From 10am to 1.30pm, Monday to Friday, some of the foremost experts on genealogy in Ireland are on-call in the National Archives to answer your family history queries. Welcome to all our new subscribers who read about us in the Christmas issue of ‘Ireland of the Welcomes’ magazine. All our new subscribers coming to us from ‘Ireland of the Welcomes’ have been entered into a special prize draw, with an Eneclann CD of your choice up for grabs every month. We’re pleased to announce that Barbara Fuehrer from Pennsylvania is our lucky prizewinner this month. What’s in a name? Well, lots for a genealogist! 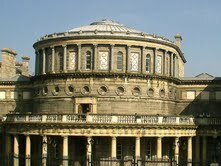 Grenham’s Irish Surnames is the unparalleled resource for anyone interested in his or her Irish surname. It will satisfy a casual curiosity in coats of arms and surname origins, as well as providing a serious research resource for those with a deeper interest in family and surname origins. We can’t recommend this title enough for people looking to get started on their Irish family tree – a big reason why we have it included in our Genealogy Starter Pack. In Sloinnte Gaedheal is Gall: Irish names and surnames Rev. Wolfe gathers together the overwhelming majority of Irish forenames and surnames, together with explanatory notes and some history. 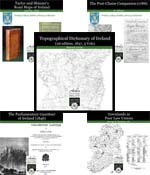 Most importantly he explains the meanings and origins of Irish first names and surnames, as well as showing their Irish and/or English translations. Matheson’s Special Report On Surnames in Ireland is the first detailed official work on surnames in Ireland. Sir Robert E. Matheson used the 1890 birth registers to compile an authoritative list of surnames and their frequency and distribution throughout the country. The main surnames for each county are listed alongside tables detailing their distribution. What’s more, both of those are recent titles to be converted to a download! If you’re interested in pedigrees, then you can’t really beat Burke’s Landed Gentry. 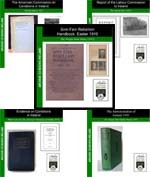 We have Burke’s Landed Gentry of Great Britain and Ireland for 1863 and his Landed Gentry of Ireland 1899, which contain detailed genealogies of all the ‘landed gentry’ in Ireland.